Gold abalone pendant. 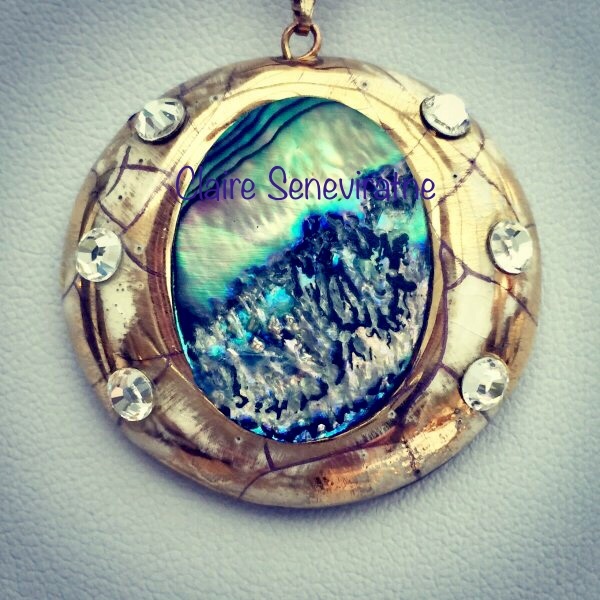 A beautiful section of abalone shell on a gold lustre ceramic surround. The gold lustre has been textured and swarovski crystals have been used .It is attached to an adjustable leather thong so can be worn at different lengths. All pieces are original and unique.